Sound nutrition is essential for high-quality sport training and competition. This new edition is a joint venture between the Academy of Nutrition and Dietetics and the Sports, Cardiovascular and Wellness Nutrition (SCAN) dietetic practice group. 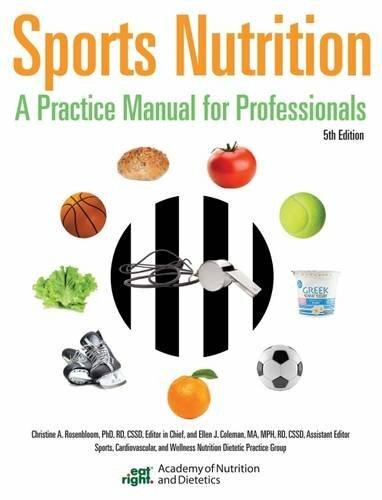 The book is a go-to source for specific evidence-based information on different sports nutrition topics. Rosenbloom, Christine A.; Coleman, Ellen J.